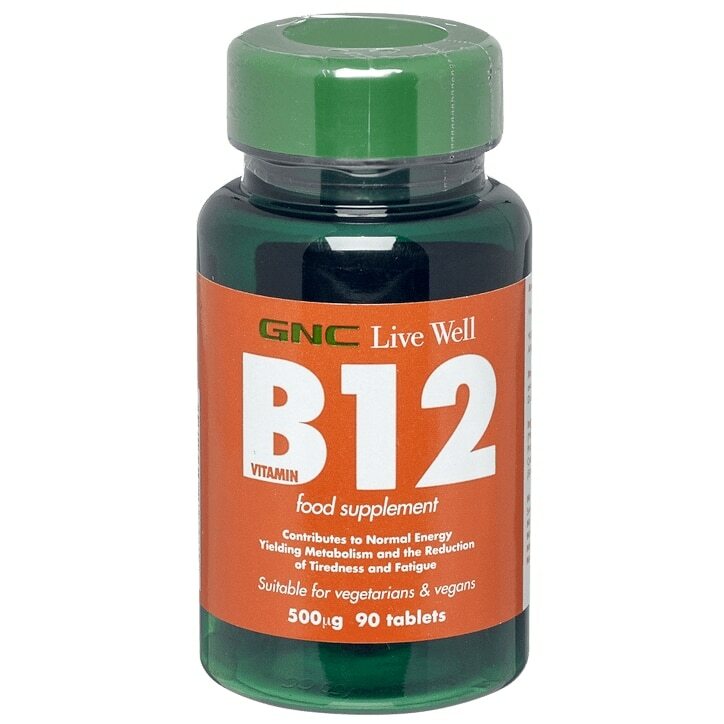 Vitamin B12 plays several important roles in the body. It contributes to normal homocysteine metabolism and health metabolic rate, and can help reduce tiredness and fatigue. Support your body and energy with the energy yielding B-vitamin in precise and optimal doses. A very quick and easy way to dose at ideal levels. Suitable for vegetarians and vegans. Take one to two tablets daily, preferably with meals. Do not exceed recommended use. Bulking Agents (Microcrystalline Cellulose, Dicalcium Phosphate), Vitamin B12 (as Cyanocobalamin), Anti-Caking Agents (Silicon Dioxide, Magnesium Stearate).